Since the final version of the tax reform was approved by the Mexican Senate on Oct 31, 2013, Mexico has been on a fast track. The Mexican GDP growth declined in 2013 to .7 percent. In a global economy, this is may be a glimpse of the world as will know it in the future. Mexico was impacted by slowdowns in construction materials and service industries, in large part due to stalled economy of the US. Office Market: Mexico City went from 1.7 million s.f. of office space to more than 13 million s.f. at the end of 2013. Occupancy is healthy, as more companies enter Mexico for business and new investment opportunities. Monterrey is also doing well and reported 8 million s.f. of office space with more than 20 Class A+ buildings under construction. The residential Market still showed slight growth but there is a back log of housing needed for the population. The Mexican National Housing Commission estimates annual demand to be 463,000 units of which 222,000 are new family units and 242,000 units are short of current demand. The home mortgage market continues to grow, showing 5 % growth with approximately 600,000 individual loans by the end of 2012. One can expect continue light growth as a pattern in 2013 -2014. The three biggest developers are under restructuring negotiations with creditors because of government policy changes and an aggressive leverage strategy (shades of bad lessons learned from the North). Bankruptcy restructuring will have to take place and this will cause a change in the composition of the industry for the near term. Corporacíon GEO, Urbi Desarrollos Urbanos SAB, and Desarrolladora Homex SAB are all affected by the new fiscal policies and will face strong competition for investor dollars going to the PEMEX restructure and opportunities drilling for Mexican oil and natural gas. 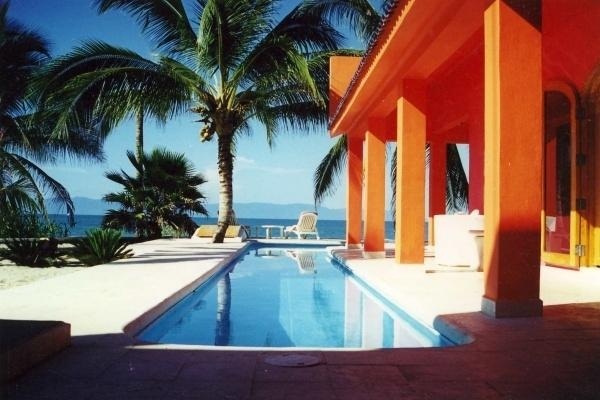 The Bay of Banderas AMPI MLS shows increases in condo sales with average prices rising in both Nayarit and Jalisco. House sales are down in Jalisco but up in Nayarit through July 2014. The biggest land sales were in Nayarit in 2013 and nothing much for either states by July 2014. There are investors willing to pay $10 million USD who are now looking land for homes or condos on the south shore. The patient is alive and doing well enough to get out get out of the hospital bed and walk in the garden.